Walk into the village for a fresh baguette, shop the Saturday market in the square, sip a glass of wine on your terrace as the sun sets and feel the gentle ebb and flow of the country life. Nothing quite compares to living like a native in your own home! When you choose a holiday villa, farmhouse or apartment you want all of these good things - and an assurance that the location, standards and condition of your temporary home will add to your enjoyment. Endless Beginnings provides you all this…and more. An Endless Beginnings rental holiday is the ideal immersion into the authentic sights and sounds of Europe, a great way to experience life lived as a "local" that are hallmarks of every rental stay. You may long for a quiet farmhouse retreat with just enough room for a few friends, or a grand manor with accommodation and activities for generations of extended family. Whatever the group or the occasion, a birthday celebration, a family reunion or corporate retreat, the rentals offered in our collection embody ease, comfort and a variety of styles and prices, resting in perfect harmony within beautiful surroundings. Discovering your new home's thousand small charms is one of the delights of your Endless Beginnings Rental holiday. 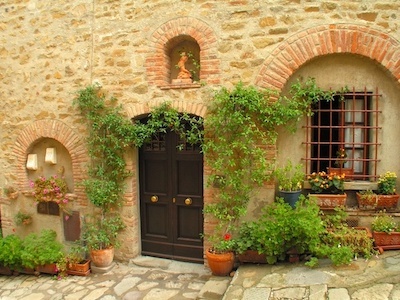 Why not do a ‘Rental Search’ with our premium site and/or Contact us for our Unlisted special, unique private rentals in Italy and France and take the first step towards making your dream come true?